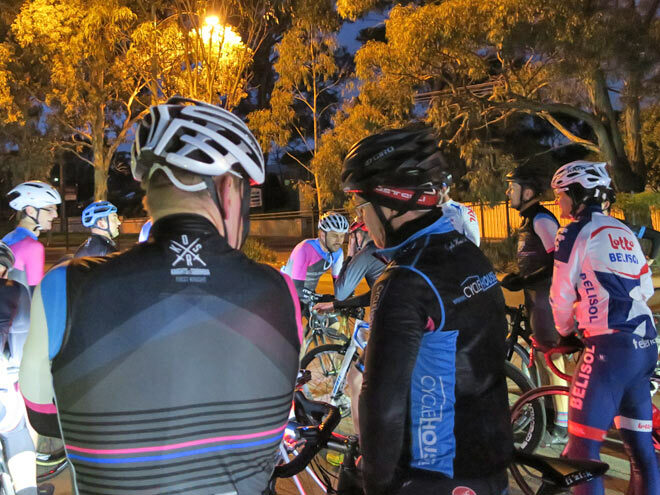 Providing something for everyone to be a part of, no matter your ability, (whether an A or an E Grader) how long you have been riding with the Knights of Suburbia or whether you own a kit, everyone is welcome from newbies to women and kids. 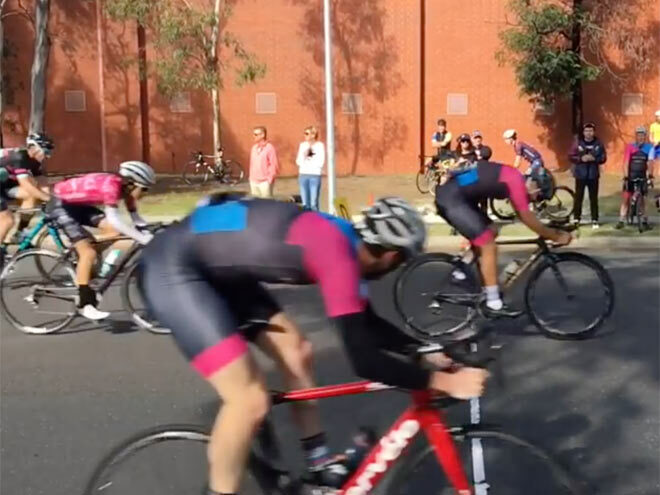 In the beginning two mates David Rigney and Russell Lee and a whole crew of friends rode regularly on Sundays and started to get involved in crit (Criterium) racing. So after the races it was decided they needed a team. This was made easier with the shared values of the 15 -20 of the founding members and their involvement with the Love Me Love You (LMLY) foundation. LMLY helps in raising awareness and removing the stigma of mental health issues surrounding our youth. So after making the move to create a team, member Naish Chapman in looking for another way to say ‘Weekend warrior’ coined the name ‘Knights of Suburbia’. 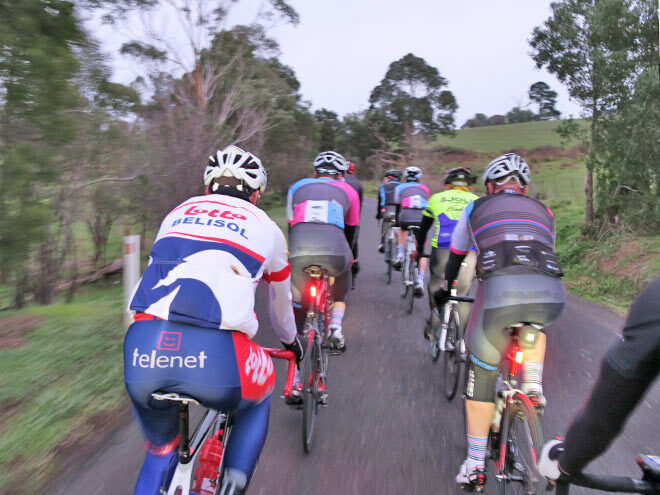 This lead to a monthly catchup ride (alternating between bayside and the northern suburbs) which then evolved into rides throughout the week with numbers varying depending on the time of year. Part of the philosophy behind the Knights of Suburbia is supporting mental health through their connection with the LMLY. 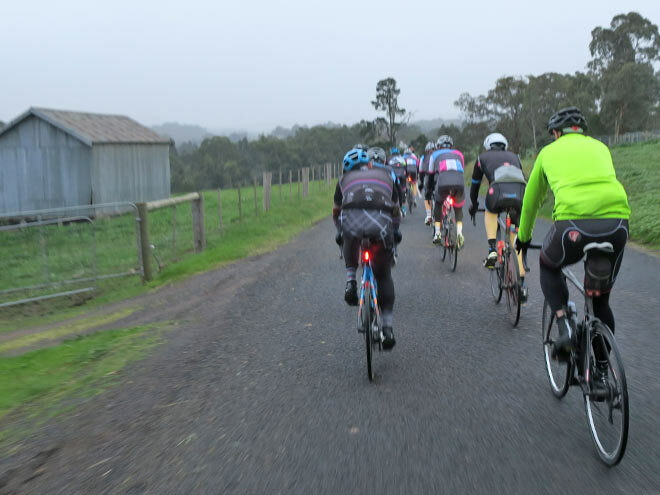 This is an annual fundraising ride to that is an extension of their regular bunch rides philosophy for increasing mental health awareness, plus they get to ride so it’s win, win! 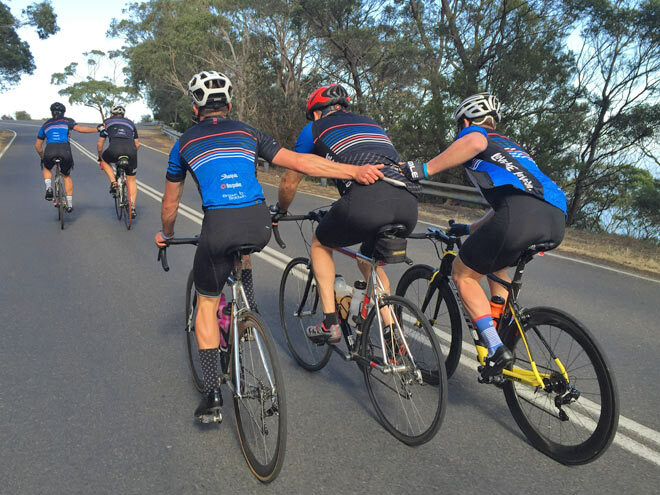 With 332kms and over 5000 vertical metres over two days there is the added incentive to join the regular rides in preparation for their 2016 fundraising ride. With the interest from local riders wanting to be part of the team and their involvement with Love Me Love You, they reached out to Ex Pro Jonny Cantwell and Swift Carbon for support. This included providing a $3300 Ultra Vox RS1 frame that was raffled to participants of their fundraising ride plus Jonny personally providing coaching for up and coming younger riders as well as team car support. 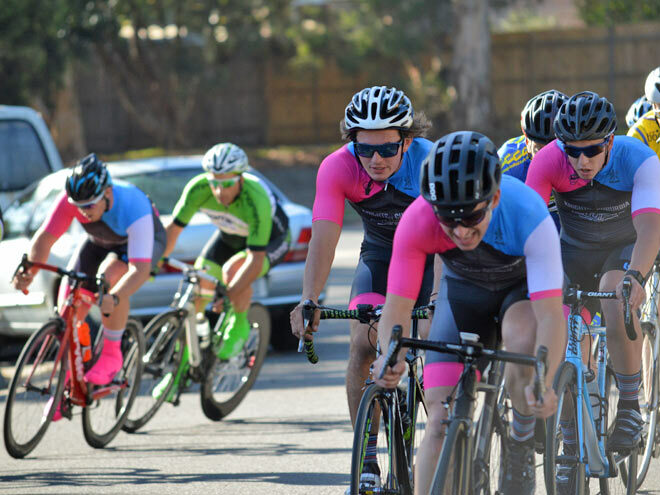 Verge Sport Australia also was committed from the beginning to providing their amazing kit. In return they get great exposure through social media, banners erected at events, members buying Swift Carbon bikes and most importantly, being listed on the race apparel/kit. Like any successful group, it’s the sum of the parts that have contributed to the growth of the group over the past 18 months. It’s important that any new members have their intentions aligned with the Knights of Suburbia, so all new members are qualified. The group looks at the new member’s intentions as there are many benefits of being part of the group with a key emphasis on mental health. 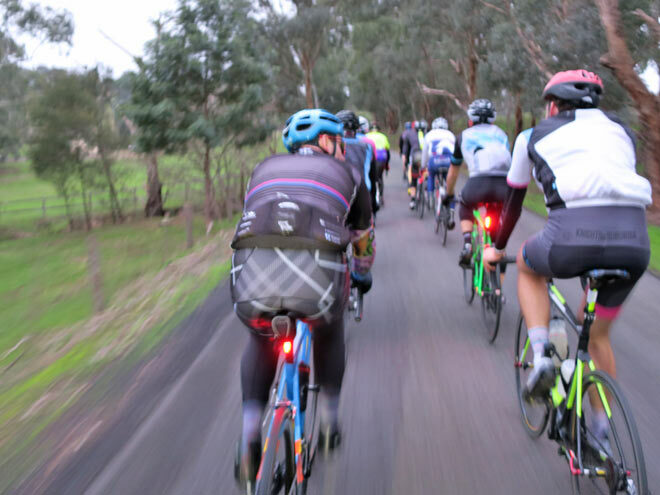 Riders come from near and far including Anthony who rides across from Parkville most Sundays after moving west from his original home in nearby Watsonia. It’s all about sharing the passion of riding while helping one another out. Personally, I experienced this with one rider having two flat tyres; the etiquette is that nobody gets left behind so the bunch waited until the rider caught up after the punter repair. With multiple regrouping points en-route all riders are always assured of never being on their own. Plus Russell and David will stay back and help those riders get back to the main bunch if they fall behind. The membership is geographically diverse with many riders being part of the many crews within their local areas. 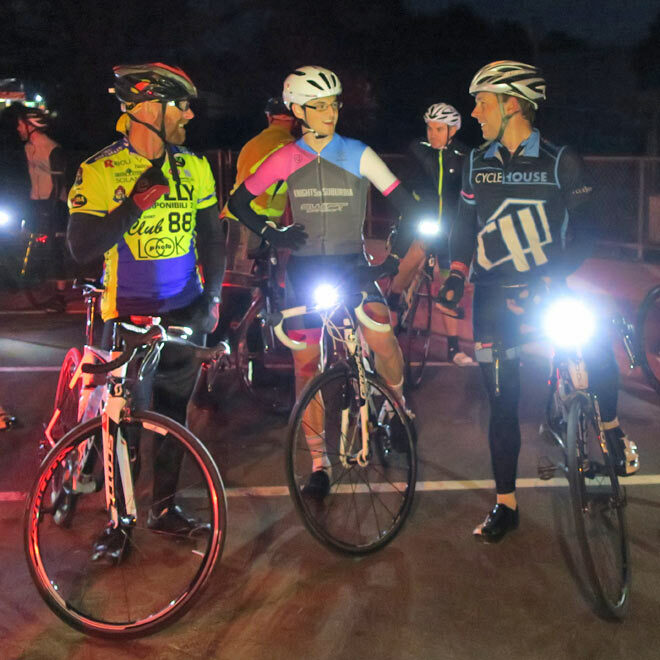 They are actively encouraged to support their other group rides which includes the Peak Cycles Wednesday ride and Cycle House who were part of the main Saturday ride. A lot of the guys meet up to ride together outside of the main Knights of Suburbia group rides, whether it’s based on working together or living within close proximity to one another. The kit was designed to stand out and to raise awareness and to get people talking about what the Knights of Suburbia were all about. Having a conversation is a starting point, there is nothing better than being able to go for a ride and have a chat with a mate and finding yourself talking about stuff you otherwise wouldn’t. 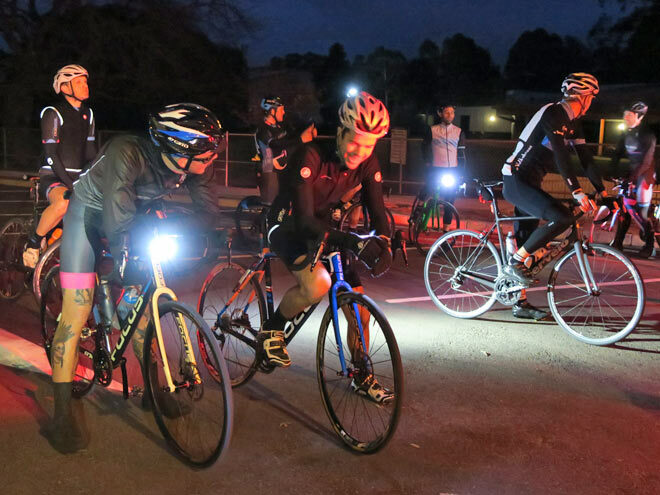 This has benefited a lot of riders in the group and provides a personal reason to help support and drive the annual Love Me Love You fundraising rides. Working together gets awesome results!